Now that the college football season is over, it’s time for free agency. Even if that would have sounded like a crazy statement years ago, it’s how things are now. It’s easier for players to transfer, and for better or worse, the practice has become common. Transfers can even help to make or break a team. Just look at Heisman winners Baker Mayfield and Kyler Murray for examples of how a player can excel after changing teams. But when you have 12 players either transferring or intending to transfer, something might be wrong with your team. That’s the situation that Penn State is in right now. Eight players have already found new schools to transfer to, this offseason. Four others have declared their intentions to transfer but haven’t found their destinations yet. It’s not like these are all players that would never get a chance to see the field if they remained at Penn State, either. Redshirt senior Juwan Johnson, the team’s second leading receiver last season, is on the list of players that intends to transfer. Typically, a player like Johnson would be counted on as a leader going into the 2019 season. It’s rare for a player, after all, to want to leave after playing for three years at a school and having a large role lined up for next season. Others, such as 2018 freshman defensive back Isaiah Humphries, didn’t see playing time with Penn State so far but will be lost as future assets because of transferring. “It’s difficult to see guys leave. It’s kind of the nature of college football at this point, just the landscape of it. I think we have a really good leadership group on our team right now. Maybe guys who weren’t leaders on the team last year but have stepped up into that spotlight. 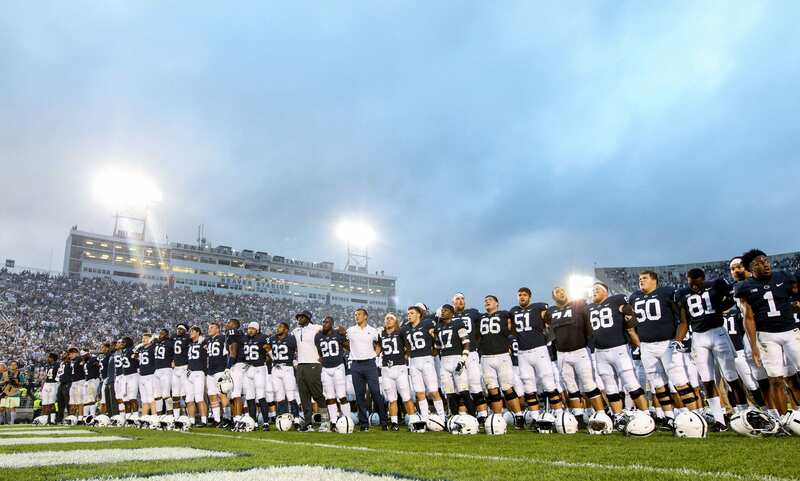 I think guys are responding to it really well,” Penn State punter Blake Gillikin told the Centre Daily Times. Head coach James Franklin has been silent on the matter for now. Should Franklin speak up about it soon? Probably. National Signing Day is on February 6, and a large exodus of players isn’t a good look in recruiting at all. It’s too soon to say whether or not this is on Franklin and the rest of the staff, but it’s also something that fans should pay attention to. These kinds of things don’t just happen for no reason, after all. And going into National Signing Day, the trend is worrying for a Penn State team that’s already coming off of a bowl loss.